I opened my chest freezer the other day to find that it had thawed, likely due to the door not being fully closed. Luckily, we didn't lose a ton of food, as it wasn't to capacity. Lesson learned. We are forced to keep the freezer in the attached garage (no basement), so the alarm needs to either be (1) very loud so it can be heard inside the house (2) have a long wire between the sensor and the alarm to stretch from the garage into the house, or (3) have a wireless alarm. Reviews of freezer alarms on Amazon are pretty poor in general. Common complaints seem to be that they aren't accurate, aren't loud enough, wireless lacks range or doesn't pass through walls, or they fail altogether after only brief periods of usage. I know there are "scientific" grade alarms from companies like Fisher, but they are many hundreds of dollars. Any suggestions or first hand experience? There has to be a decent one out there that doesn't cost more than the freezer itself. In for the answer. I've been wanting one for my upright freezer in the garage, but I've never been impressed with what I've seen out there so far. Do a simple search for freezer alarms. Amazon, Lowes, Home Depot all carry some type of wireless alarms for around $50, some less, some more depending on features. The Chaney Instrument 00985 Wireless Refrigerator Freezer Thermometer Alarm Set pictured here sells for $35 at Amazon.com At these prices, it would would be worth a try. The most important rule in a gunfight is: Always win and cheat if necessary. Just making it up as I go. This won't directly answer your question, but it may help. I keep a lot of frozen water bottles in the freezer. If I need more room in the freezer, I can pull some bottles out, otherwise, the unused space in my freezer is occupied by ice instead of air. That has saved two freezer loads so far. 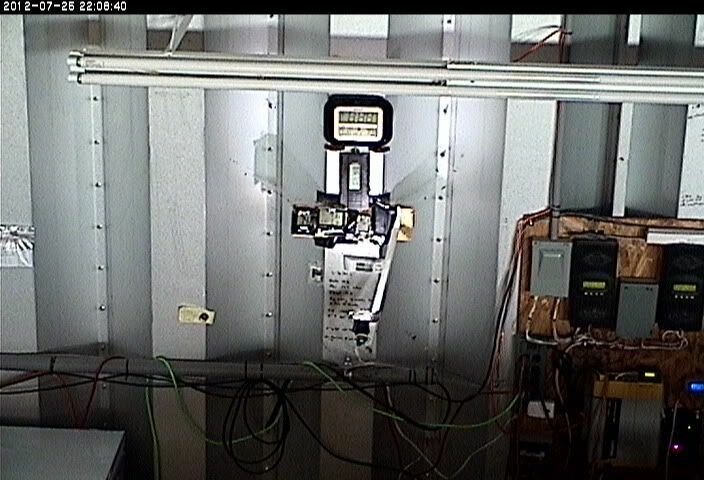 Using a remote IP cam to relay the data from a bunch of sensors anywhere I need it. My redneck data aquisition system. The frig is at 32F and the freezer is at 2F. Both run on solar and I can keep track of them anywheres. WHAT THE F am I looking at here? "The skin of civilization is only 7 meals thick..."
I've had a freezer for close to 15 years no problems, no alarm. we just sold my dads freezer for $50.00 because we didnt have room for it. It still ran fine, probably 40 years old. I think your looking for a solution to a problem that isn't there. It is a great life if you don't weaken. I would just install a regular door alarm on the unit that sounds when opened. 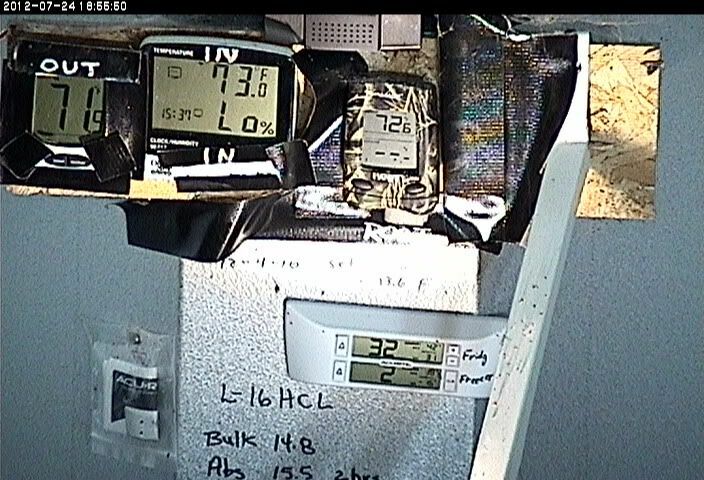 I think what some of us are concerned with is a breaker failing and tripping, causing a loss of power that isn't discovered before food spoilage. In our home, we go days between visiting the freezer in the garage. That and the possibility of failure of the freezer itself.